Can you give a home to an older greyhound in the Midlands? Older greyhounds often get overlooked in kennels and have so much love to give and in many cases are just as sprightly as their younger kennel mates. We understand when families with young children visit the kennels asking for a younger dog to grow up alongside their children but please consider homing an older dog. We love their “frosted” faces and their cuddles and the way they still like the occasional “zoomies” and a play. We get older greyhounds in our kennels for several reasons; trainers decide to leave the industry, or they have been kept as kennel pets, or have had puppies and now need loving homes. 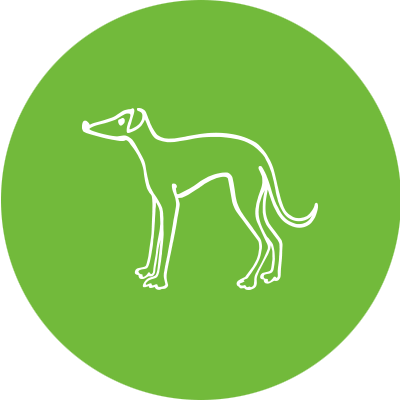 Sometimes older greyhounds return to us because after being in a home for several years their owner becomes ill or sadly passes away. Occasionally we have a dog who had a long racing career, retired age 5, and has been waiting in kennels for their forever family for some time, making them older than their kennel mates. We have some older geyhounds in our kennels or about to come into our kennels at the moment. Keep an eye on the “Greyhounds Looking For Homes” page to read about Rena, Prince, Shawty, Cha, and King as they come in and let one of our golden oldies steal your heart too.